You’ll wonder if NAPOLI PIZZERIA didn’t bring their pizza straight from Italy. 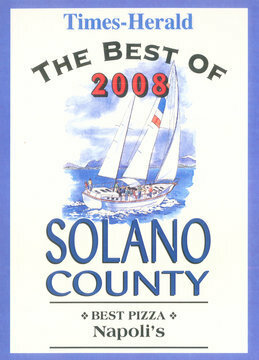 (Also with locations in Benicia and Vacaville. 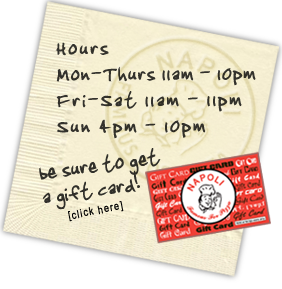 Vallejo Times Herald writes article about Napoli Pizzeria doing it right for 40 years! Click here to read article. Really, really excellent good old fashion pizza. When I compare it to other pizza places I must give this place 5 stars. The restaurant is comfortable with booths, and a down home atmosphere.